In 1996 Kirkhill Manufacturing Company ( KMC ) was started from former employees of Kirkhill Inc. who purchased the rubber manufacturing equipment from Kirkhill Inc. Kirkhill Inc. was started in 1941 by Kirkhill Rubber Company to separate their plumbing business from their aircraft parts business. Bill Haney was the Chairman of the Board of both Kirkhill Rubber Company and Kirkhill Inc. until both these companies were sold in 1997. There are no longer any financial ties or agreements between the 3 companies. KMC has 3 divisions. Custom mixing, sponge rubber products, and a complete line of plumbing products. 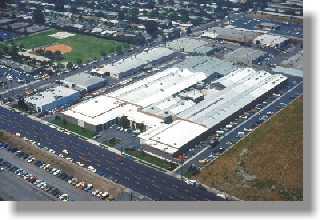 KMC supplies custom mixed rubber out of its Downey, CA and Athens, GA mixing facilities. KMC purchased the Athens, GA plant from Oliver Rubber Company in 2007. KMC now has the ability service the custom rubber needs for customers throughout the United States in a timely manner. We have equipment to mix, calender and perform all types of polymers to supply all our customers needs. We supply to all industries with emphasis on oil & gas, transportation, medical, semiconductor, OTR, aerospace, mining, and automotive. KMC has been involved making sponge rubber products since 1941. In 2007 KMC purchased the H. C. Lien Rubber Company, which significantly increased our sponge rubber manufacturing capacity and technical abilities. Tim Lien is still active in the business as we continue to improve our products and grow this business. Copyright © 2000 Kirkhill Manufacturing Company. All rights reserved.